There’s nothing as satisfying as flipping through a book, smelling that fresh paper smell, slowly uncovering the stories and adventures in between the pages. But I’ve got to admit that I’ve been converted into an e-book fan. While you don’t get the satisfaction of flipping the pages, it’s just so much easier to have an entire library of books in the palm of your hand. It’s waterproof! : I personally love to escape into a story while relaxing in the bath. And now you don’t have to worry about accidentally dropping it or splashing water into the little cracks. The Kona Aura ONE reader is waterproof with HZO Protection. Large reading screen: Read on a large 7.8” screen like you’re reading an actual book. It can fit more words to a screen, which means less page flips! Read at night without affecting sleep: We all know that staring at our phone screens is not good right before bedtime. The blue light emitted keeps us from getting that restful sleep. 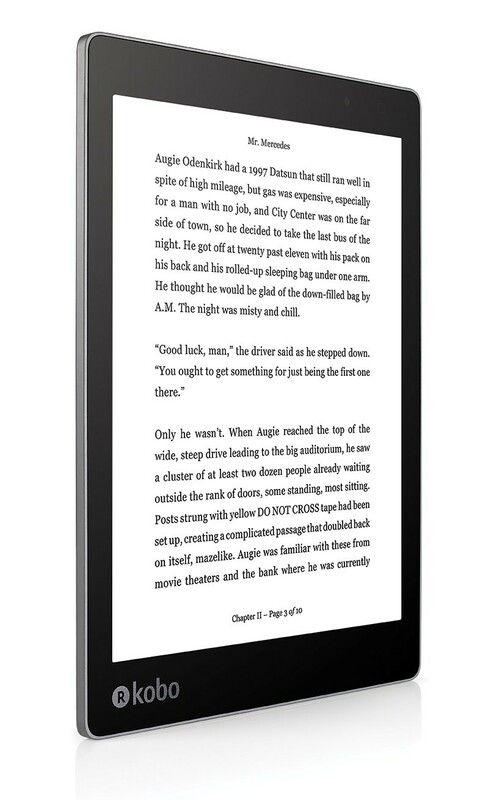 The Kobo Aura ONE eliminates the blue light for bedtime reading. It has a light sensor that detects the current light levels and automatically adjusts the brightness. Borrow books from your local library: No more physical trips to the library! You can borrow books as long as you have a library card from an OverDrive-powered library. You can browse or search the library’s selection of books and read in seconds. 8 GB of storage: You can store up to 6000 books on one device! Long battery life: The battery can last up to one month before a recharge. So go on a long vacation without worrying about packing a charger. Check out the video to see it in action. See readers actually dropping it into a bucket of water! Available online from August 30 – September 29. Pre-order in stores from August 30 – September 5; available starting September 6th. 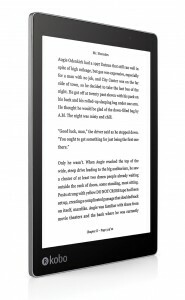 The Kobo Aura ONE is being called the e-reader for true book lovers. 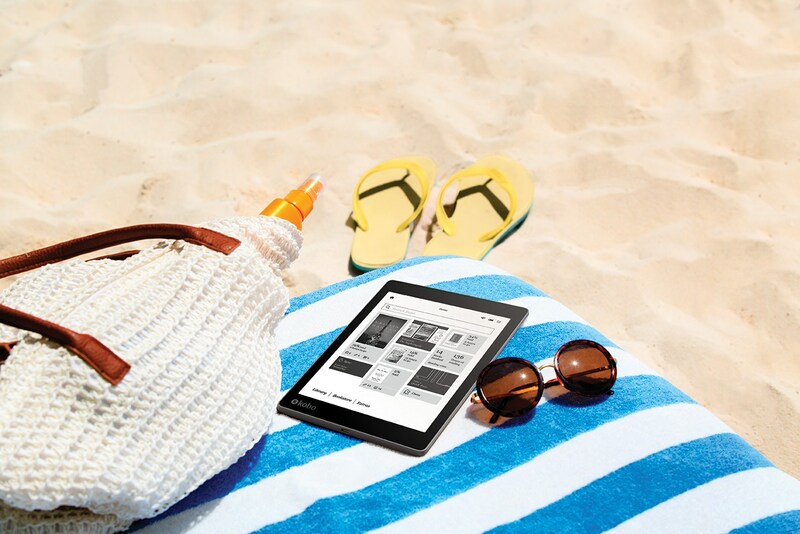 With a screen that allows you to read comfortably in both day and night, and waterproofing that lets you read wherever you are, this is finally an e-reader that you can take everywhere!